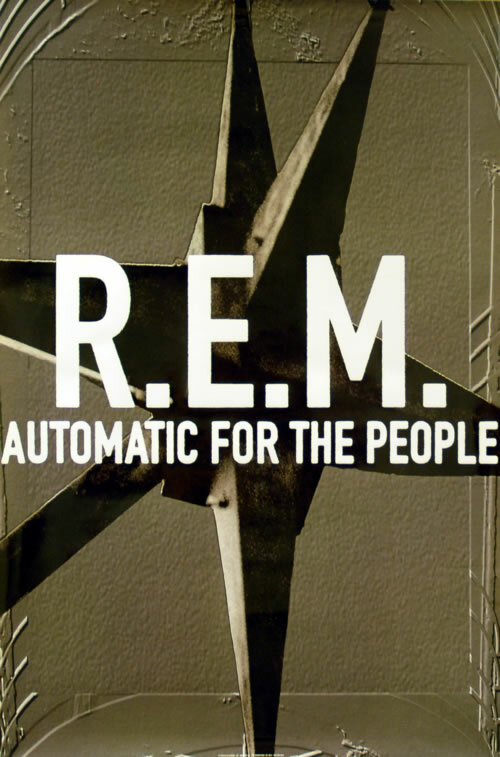 REM Automatic For The People (Official and stunning 1992 US Athens promotional only 24"x 36" fly poster for the album release. Featuring the album artwork the 'star' is picked out in a glossy finish, the background matt; a beautiful poster, new and unusedwhich is perfect for archival framing). or visit our REM image gallery.